CLEVER RX is a game changer. With Clever RX card/app, you will save up to 80% on your prescription medication and frequently save more than your current co-pay. 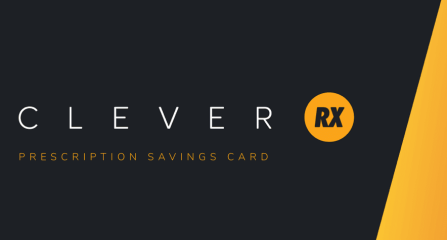 Click here from your phone to download the Clever Rx app or go here and scroll down to print out a membership card. In the phone app, use 1059 for Group ID and 1000 for Member ID to unlock savings for you and your family. I am licensed in Florida, New Jersey, Pennsylvania and Texas. If you live or if your business, organization or association is based in any of these states, I can help you.